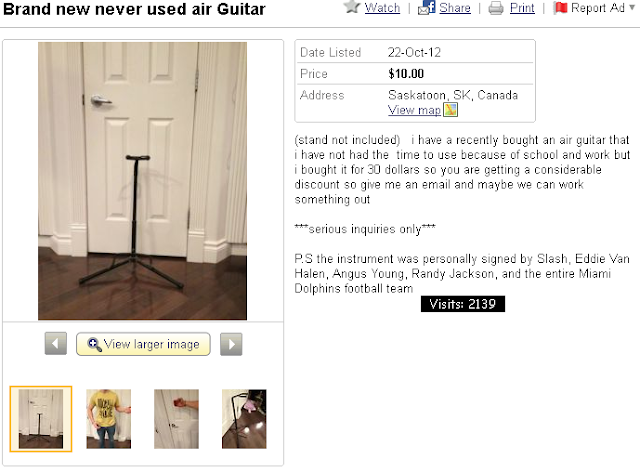 Rock out with your sock out with this celebrity-autographed air guitar from the hub of hard rock, Saskatchewan. Kijiji hooks you up with the hottest licks. I'd buy this for myself, but I think one of the strings is broken, and I'm having a helluva time sourcing replacements. Man, that dude can SHRED.